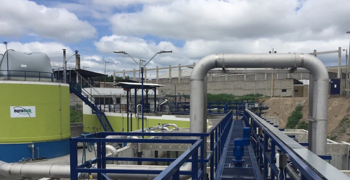 To ensure a consistent, reliable, and safe water supply, many communities, water authorities, industries, and private companies are turning to desalination to meet their potable and process water needs. Fluence has more than 30 years of experience in the financing, design, construction, and operation of desalination plants, using its proprietary technologies for municipal, commercial, and industrial clients. Our high-recovery systems reduce the need for brine disposal and maximize permeate production in the most cost-effective and environmentally sustainable way possible. Fluence has been actively developing technical solutions for brine concentration, with the aim of minimizing discharge costs and environmental footprint. We offer a variety of brine-reduction technologies selected to suit client needs and limitations, including high-recovery reverse osmosis, evaporation ponds, thermal brine concentration, and zero liquid discharge (ZLD). Our plants, which integrate top-quality components from reliable and well-known suppliers, are fully automated and can be controlled by our innovative Smart Operation system, which enables real-time monitoring and response, and optimization of operating costs. In a world where water scarcity is a serious and growing problem, desalination can be the key to a reliable source of drinking water or industrial process water. Contact our experts to discuss your specific project details, and learn how our sustainable desalination solutions can help you meet your goals. Fluence provides decentralized, pre-engineered and custom-designed desalination plants that reliably deliver safe drinking water to government entities, municipalities, and private companies, and high-quality process water to industrial operations. 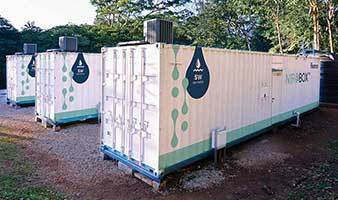 Providing potable water for island populations and remote communities presents special challenges. Where local water sources are limited or unfit for consumption, advanced membrane-based technologies can be applied to treat and desalinate seawater or brackish groundwater. 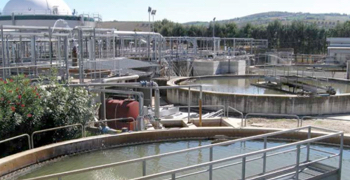 Fluence has extensive experience in developing and delivering water treatment plants to serve these needs. Fluence’s desalination systems produce drinking water from a wide variety of sources and can be custom-designed to accommodate varying feed-water characteristics and desired finished water quality. Our solutions can also be based on our state-of-the-art, pre-engineered containerized NIROBOX™ systems, the most advanced technology for decentralized desalination. Fluence also provides emergency relief plants in the wake of natural disasters and as an ongoing water supply for troops in the field. Fluence designs, manufactures, builds, and operates advanced desalination systems for the production of process water for industrial use. The systems can treat water of any quality, and from a wide variety of water sources, including brackish water and seawater. Fluence’s systems provide process water for a wide variety of applications, including permeate for cooling and other uses, demineralized water for high-pressure steam boilers, and conditioning of permeate for potable use. NIROBOX™ is Fluence’s state-of-the-art desalination plant housed in a 40-foot shipping container, designed to supply high-quality drinking or process water anywhere in the world, and at the lowest possible cost. Nirobox units are modular, plug-and-play systems that can be deployed in a few months. Our seawater Nirobox MEGA module can produce up to 1,500 m3/d (400,000 GPD) of desalinated water, all in one container. Our Nirobox SW models are designed with the environment in mind and are the most efficient desalination plants on the market, consuming 25% less power than conventional seawater desalination plants. With models for seawater and brackish water desalination, the Nirobox is the most cost-effective solution when it comes to meeting drinking water or process water needs in communities and industries. We’re here to help! Contact us to learn more about our desalination solutions, or to discuss your next project with our experts. 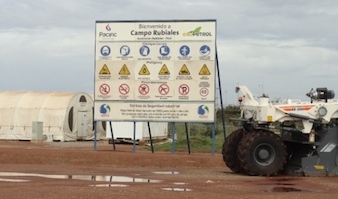 At a high-production oilfield in Colombia, operators wanted to move away from disposing of produced water via deep well injection. To effectively treat the brackish water remaining from the drilling process, we provided a multistage treatment plant that maximizes water reuse and minimizes the need for brine disposal. Due to an ongoing drought, a beach resort, golf course, and spa in Costa Rica was facing water scarcity. It needed a solution with a high recovery rate that featured low energy consumption and minimal use of chemicals. The system had to be quiet, have a small physical footprint, and a low ecological impact. Three Nirobox units were installed, with a total treatment capacity of approximately 1,500 m3/d, providing disc filtration, ultrafiltration, SWRO, and remineralization to drinking-water quality. The system was started up only several months after it was ordered, with a plan to gradually increase reliance on the system with the approach of tourist season. A high-output desalination plant was urgently needed to solve an acute potable water shortage on the parched southeast coast of Africa. 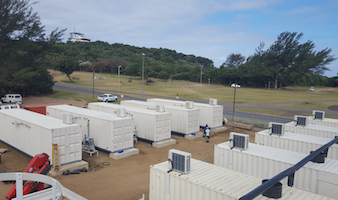 Fluence supplied to Connority, Cyprus 10 NIROBOX™ modular, containerized seawater desalination units to produce 10,000 m3/day of potable water, the 10 NIROBOX™ supplied in just four months. When an Egyptian power plant planned to expand its generation capacity, it needed a source of ultrapure water, and it needed it quickly. In order to use low-quality feed water from the Red Sea, Fluence designed a three-train demineralization system featuring ultrafiltration and reverse osmosis. The first train was delivered in four months, with the second and third following two months later. In Cyprus, the government is relying on desalination to meet the nation’s growing water needs due to population spikes and ever-increasing tourism. Acting as a subcontractor, we manufactured, installed, and commissioned the main process equipment for a 50,000 m3/d desalination plant in Episkopi. The treatment process includes pretreatment by ultrafiltration membranes, seawater reverse osmosis (SWRO), energy recovery, and remineralization for potability. Sign up for the latest news, trends and innovations in water, wastewater and reuse.